We'll see you on August 11-13! It's hard to find a more ideal setting for a music festival than Somerset, Wisconsin. 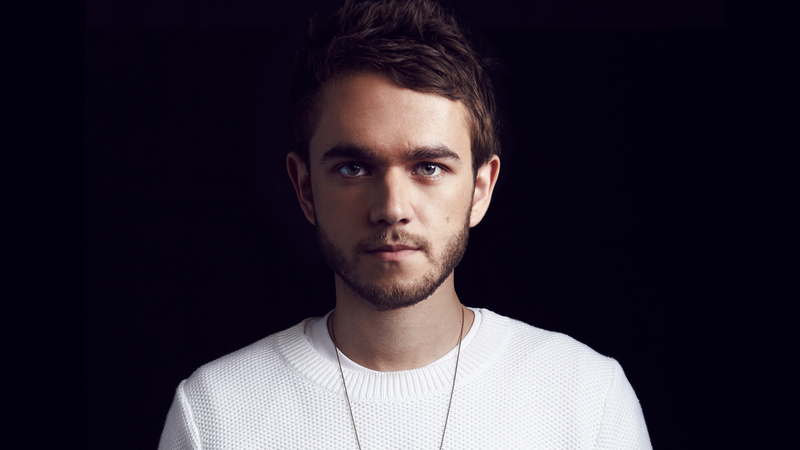 Home to Summer Set Music Festival since its inception in 2012, the scenic oasis offers music lovers a place to call home each year while they check out some of the biggest names in EDM and Hip Hop. 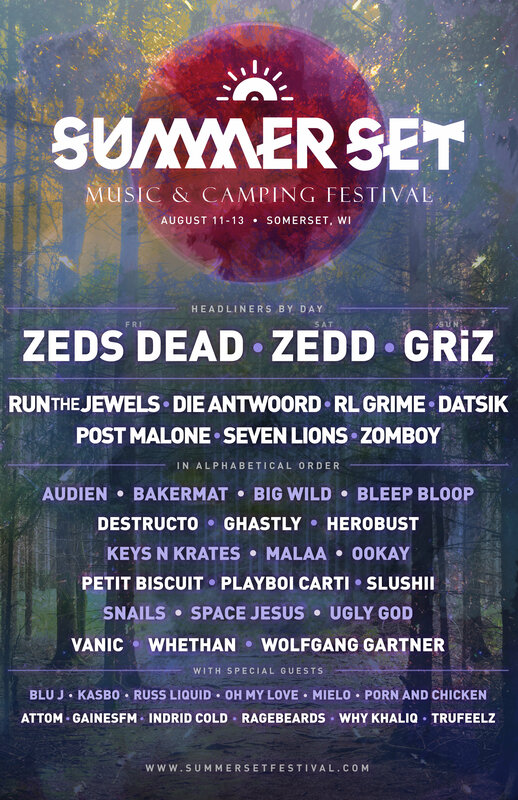 For the 2017 festivities taking place this August 11-13, the organizer's have assembled a dream team of acts to head north for the annual affair including headliners Zedd, GRiZ, and Zeds Dead. Also on the roster this year will be Run The Jewels, RL Grime, Post Malone, Die Antwoord, Datsik, Seven Lions, and Zomboy. With this many of our favorite performers heading to The Badger State this summer, there's no way we'll be missing it. Oh, and did we mention you can take a shuttle to go tubing during the day? Pre-sale tickets for the music and camping extravaganza are already on sale for this summer, so head to their website to snag yours before they're gone.